Ready for more apple goodness? Today’s recipe is sponsored by Envy Apples and let me tell you – they are delicious – a definite contender for my new favorite apple! I just love apples that are crisp and sweet and Envy apples certainly fit the bill. 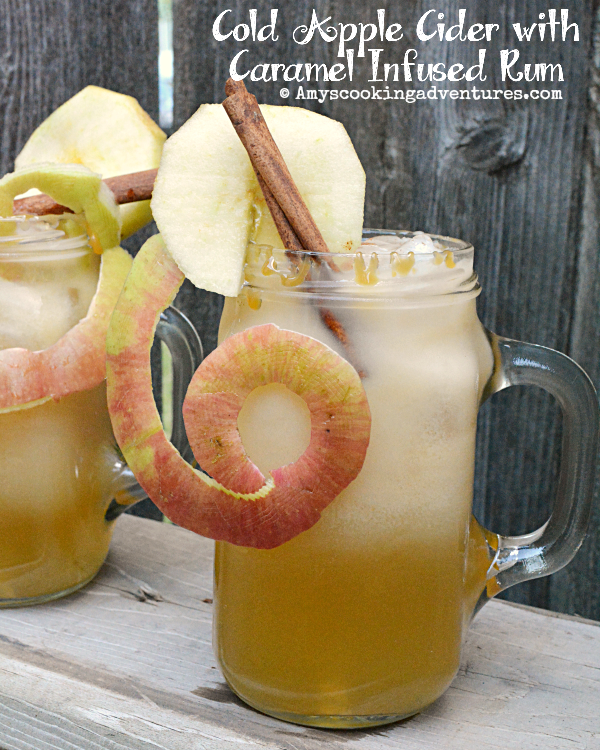 For today’s recipe, those gorgeous apples were used as a garnish in a spiked apple cider! Note that you can totally make these without the rum, as well! When spud saw my pretty drink, he asked for some as well, so I whisked the caramel sauce directly into the cider and garnished just like the adult beverage! If you prefer your cider warm, give these ingredients a try warmed up as well! Don't forget to enter the GIVEAWAY and check out the other #appleweek recipes below! Fill a cup with ice. Add rum and apple cider. Sprinkle with cinnamon. 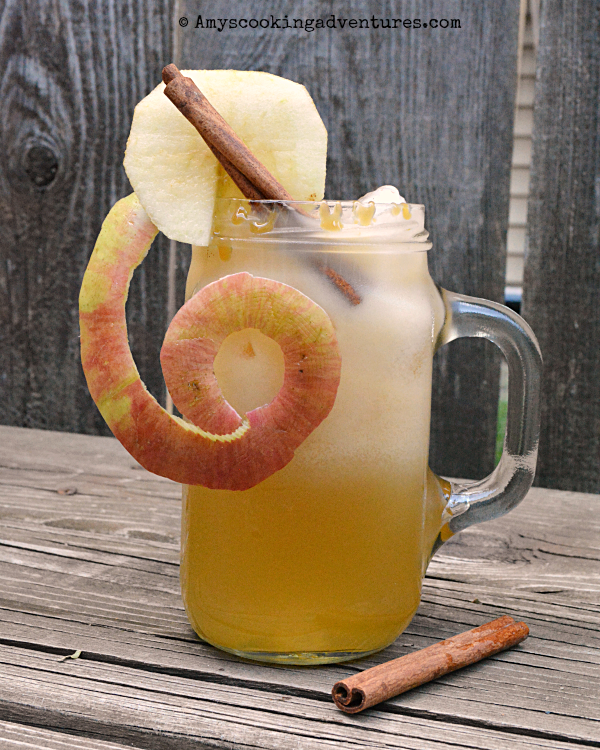 Stir and garish with apple slices and cinnamon sticks. Whisk together. Use immediately or (preferably) set aside for an hour or two to let the caramel fully dissolve and meld with the rum. I'll take mine with rum please. Mmmm! Now that looks like a perfect weekend treat!